Space Systems/Loral (SS/L) announced in November 2004 that, pursuant to the contract entered into in March 2004, it has reached agreement with Intelsat LLC for the design of Intelsat Americas-9 (IA-9), a high-power, C- and Ku-band satellite that will provide service to North America, Central America and the Caribbean. SS/L has been authorized to proceed on the manufacture of IA-9 immediately. 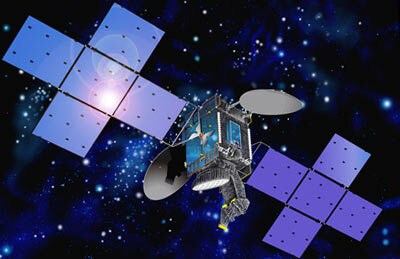 Intelsat changed the name of the Intelsat Americas satellite to Galaxy 19 effective to 1 February 2007. The satellite's hybrid C- and Ku-band communications payload carries a total of 52 operating transponders, selectable among 62 discrete frequencies, providing a total of 1,944 MHz of downlink capacity. Coverage areas are provided by fixed C- and Ku-band antennas, in addition to an adjustable Ku-band spot beam that can be positioned anywhere on the earth's surface visible from the satellite's orbital position. The satellite is designed to operate from any of Intelsat's orbital locations from 77 degrees West longitude to 129 degrees West longitude. The satellite is based on SS/L's space-proven SSL-1300 geostationary satellite platform, which has a long and proven record of reliable operation. The satellite is scheduled for delivery to Intelsat in 2007 and has a design life of 13 years. Galaxy-19 will cover North America and replace Galaxy 25.